More than likely you already know what you want to share on a webinar or have several somethings you’d like to share with your audience during a virtual event. I’m taking this wild guess because you found the topic of this article of interest. Do you know what your audience has to say in regards to your topic? 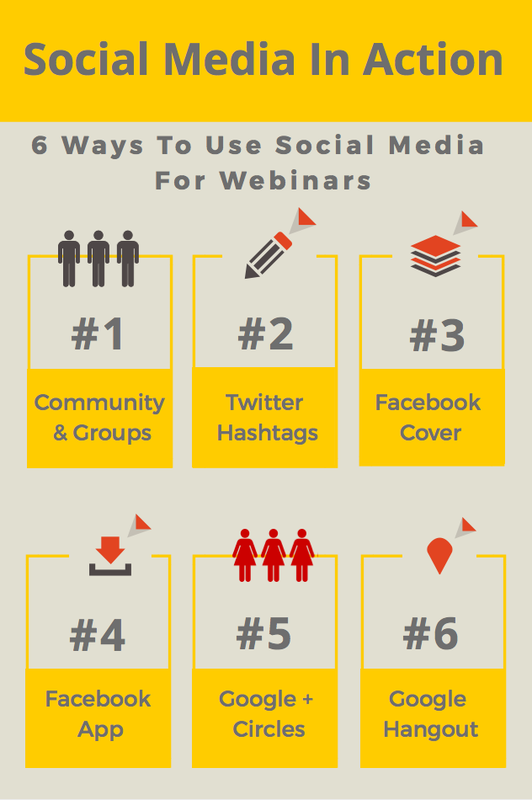 Listed below are six ways to use social media for webinars starting with learning what your audience is saying about your topic. #1 – Use Groups and Communities to find out what your audience is say in regards to your topic. For example, I’ve started a new service called ThePodcastVA. We service podcasters and I’ve joined several groups specific for podcasters. By being in the midst of the audience I serve, I get to be one of them and hear what they are saying as it relates to their podcast. groups and communities that serve your audience. Read their comments and complaints to find out how you can serve them as a result. Learn what they are looking for, don’t understand, or need assistance implementing and make the answers to those comments or complaints a part of your webinar session. Also, use private membership groups to do this as well if you’re participating in paid training or any other type private forum where your audience gathers. #2 – Use Twitter Search to look for existing hashtag names for your event. Use this hashtag in all of your promotions and social media post. Make it as much a part of your event as the content itself. Encourage those participating in your online event to use the hashtag before/during/after your webinar. #3 – Create a Facebook Cover Photo specifically for your event. Not only utilize the image to promote your webinar, but also add a description for the image. When someone clicks on the cover graphic, not only will they see the image, they’ll also see more details and a link that takes them to your promotion landing page for your webinar where they can get signed up or registered. #4 – Add a Facebook App or use the new Facebook Call To Action button to promote your event. Take advantage of the online space you have on your Facebook page to promote your event. If using a Facebook app, you can have them sign-up directly from Facebook or include a link for more information that takes them to your landing page containing more details. If you use the Call To Action button, once they click on it, you’re taking them directly to your event landing page. #5 – Use Google+ Circles to communicate with any special guest speakers that will be participating in your event. Include your virtual team in the circle as well so they are in the loop with everything that’s going on. Make Google+ Circles your private area for communication with your team and speakers is much easier than emailing back and forth. 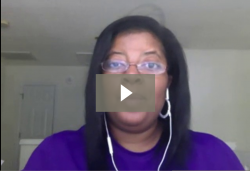 #6 – Use Google Hangout when you want to see faces of your special guest and team members. If you’re one to like face-to-face interaction, why not use Google Hangouts for special planning meetings for your webinar. It will also give you an opportunity to get comfortable in front of the camera, although more than likely you’ll be a lot more relaxed with your team and special guests compared to the live webinar. It’s a start though, to get you comfortable. Take advantage of the information that sits right at your fingertips and utilize free tools that we all use each and everyday. You may be using these tools for your webinar, however they’re going to help you get even more social with your online media promotions.